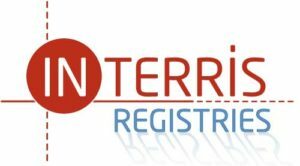 As of 2018 ArcheoLINK – Americas continues under the new name InTerris Registries. After the first successful visits to and contacts made in the USA as an attempt to enter the North American market it was decided a continues presence of QLC ArcheoLINK in the Americas was needed to serve the (North) American market in a better way. Therefore the founders and developers of QLC ArcheoLINK decided early 2013 to split up the QLC company into two different branches resulting in QLC Inc. ArcheoLINK-Americas. During the past years the work of QLC has focused mainly on the further development of the ArcheoLINK system, as well as the related issues like implementation, training, guidance and advice at a diverse users group of the Archaeological Information System ArcheoLINK. Also various projects relating to ArcheoLINK in the Caribbean have been continued such as on Carriacou, Nevis and Curaçao. Municipality of Breda: support with the use of ArcheoLINK. Municipality of Den Haag: Supply of hardware and accessories. Municipality of Amsterdam, bureau Monumenten en Archeologie: Project Noord-Zuidlijn (new subway). Advice, guidance, support and training archaeological automation with amongst others QLC software ArcheoLINK and supply and installation of hardware. Jacobs & Burnier, archaeological project bureau: support with the use of ArcheoLINK. Municipality of Nijmegen: Project Archaeological Information System (AIS). Advice, guidance, support, adjustments and training archaeological automation with ArcheoLINK data system and supply and installation of hardware. Municipality of Leiden: Project Aalmarkt. Advice, guidance, support, adjustments and training archaeological automation with ArcheoLINK data system and supply and installation of hardware. Municipality of Almere: Project Archaeological Information System (AIS). Analysis present AIS and advice improvements and adjustments. Municipality of Leiden: Project Archaeological values map. Mutations processing and restructure and reorganise. Naturalis Leiden: Adjustments database functionalities. RAAP archaeological advice bureau: Supply of hardware and accessories. ADC archeoprojecten: Supply of hardware and accessories. Municipality of The Hague: advice on and rental of hardware and accessories. Archeomedia BV: support with the use of ArcheoLINK and supply of hardware and accessories. RAAP archaeological advise bureau: Supply of hardware and accessories. Cultural Heritage Foundation Zeeland / Zeeuws Archaeological Archive, Province of Zeeland: The Construction of a special module based on the ArcheoLINK system. Carriacou Archaeological Project. Coordination and execution of the field methodology and digital field and finds data processing with ArcheoLINK. University of Amsterdam, AAC: Project Lecture Archaeology and computer applications. Providing lectures GIS/Mapinfo for archaeologists as mandatory class for graduate students. Archeomedia BV: support and training with the use of ArcheoLINK and supply of hardware and accessories. Synthegra Archeologie BV: various projects. Support GIS production and digital data processing. Municipality of Leiden: Project Archaeological automation. Advice, guidance, support, adjustments and training archaeological automation with ArcheoLINK data system and supply and installation of hardware. National department of cultural heritage (ROB): Project Leeuwarden Hempens, N31. Implementation, coordination and execution of the digital field and finds data processing. Municipality of Breda: Project Archaeological Information System (AIS). Concept development, advice, implementation and testing of a municipal AIS base don ArcheoLINK. Amsterdams Archeologisch Centrum (AAC): Project Sint Servatius, Maastricht. Develop and adjust digital data processing system. Vriens Archeo(flex) BV: Project Course GIS/Mapinfo for archaeologists. The Archaeological Commitee, UWI, Trinidad & Tobago: Project Archaic site Banwari. Measuring and creation of 2D/3D maps. University of the West Indies, Kingston Jamaica: Project Jamaica archaeological survey. Measuring and creation of 2D/3D maps of two sites. Vestigia BV: Various projects. Support GIS production and digital data processing. AAC/Projectenbureau: Project archeological automation AAC/PB. Advice, guidance, support, adjustments and training archaeological automation with ArcheoLINK data system. National department of cultural heritage (ROB): Project Leeuwarden Hempens, N31. Implementation, coördination and execution of the digital field and finds data processing after their request to be able to set this all up within one week. Bureau Oudheidkundig Onderzoek Rotterdam (BOOR): Project Overschiese Kleiweg, HSL zuid (high speed train South). Support and quality control digital data processing. Archol BV: Project AHR Schipluiden. Support and quality control digital data processing. Carriacou Archaeological Project. Coordination and execution of the field methodology and digital field and finds data processing.